I received a lot of email and discussion opportunities over last week’s column, which exhorted readers to stop using such insulting labels as “radtrad” and other labels created with the express purpose of creating division. I argued that besides failing to accomplish its goal, such terms are beneath our calling as Christians, and should be dropped for that reason alone. The positive outpouring I received was quite humbling. I was also humbled by some of the criticisms I received, and the conversations that occurred as a result. I also received some questions, such as wondering what loyal traditionalists could do to help our brethren away from these terms. I’m no leader of a cause with deep insight, but if I had to offer anything, I would say that for traditionalists, this is a time for listening, not arguing. Listen to what our critics say; not all of them are unreasonable ideologues. Many of them simply don’t know a lot of traditionalists. Approach them and listen to their concerns. If we can do anything to help them, do it without complaint. We also need to be happy warriors. Far too often, we allow ourselves to be defined by what we aren’t, rather than what we are. We are traditionalists because we oppose “ambiguity” and clown masses. If we want to get a little more general and vague, we are traditionalists because we hate liberalism. This cannot be if we ever hope to be something more than just an irrelevant fringe movement. By all means continue to oppose error, but it doesn’t hurt to remind people that the traditionalist movement is full of beauty, and those are far better reasons to walk amongst us. We do want people to walk among us, don’t we? Catholics as a whole (not just traditionalists) have a problem with being a welcoming Church. Despite that horribly banal hymn All Are Welcome, we don’t really do a good job with that. Don’t believe me? Ask anyone who has been to a Protestant Church who is more welcoming. On top of this institutional problem Catholicism has (especially in America), we throw in a foreign language and relatively foreign customs. As a result, we traditionalists need to be even better than our friends across the way. Even if we think we do a good job, we can and should do better. Those issues are ones that require immediate and pressing attention. Some of the following reasons are still issues; it is just that the trend is has reversed in recent years, sometimes dramatically so. For far too long, traditionalists did not put a face with the insulting moniker used against us. For a variety of reasons (some justifiable, some not) traditionalists tended to self-segregate from the diocese as a whole. Since Summorum Pontificum (which liberalized most of the regulations surrounding celebration of the Extraordinary Form), this trend has changed at a pretty remarkable rate. In just the five years after the Motu Proprio, the Latin Mass saw explosive growth, and more and more people became aware of our existence. Once we were welcomed into a lot of the dioceses, we turned out to not be the cancer many feared. We staffed parishes, ran socials, poured money into churches, etc. 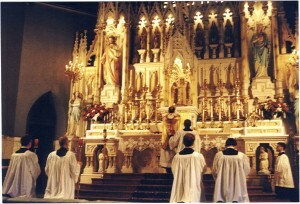 The newer Latin Mass groups (particularly the young lay organizations) tended to operate both within the Ordinary and Extraordinary Form, putting into practice Benedict’s desire that the two usages enrich each other. There is always room for improvement. If you are a traditionalist and aren’t supporting or joining these organizations with either your prayers or your resources, shame on you. A final piece of advice would be to realize that there are those within our ranks that are bad Catholics. We have no problem pointing out the bad Catholics in the other parishes; we should do so with ours, and have no problem admitting this. We might hate these insulting names, but there’s no doubt that certain individuals will try to use the beauty of traditionalism to insert their own agendas which have nothing to do with the traditions of our fathers. Call them out, but do so with charity. One of the most common refrains was that it was functionally impossible to condemn these elements without assigning a name to them such as “radtrad.” I say we prove them wrong. The good thing about this problem is that as time goes on, it becomes less and less of a problem. In previous eras, it was a lot easier to act as if the traditionalist movement was absolutely infested with extremists, and that these individuals posed an existential threat to the Church. 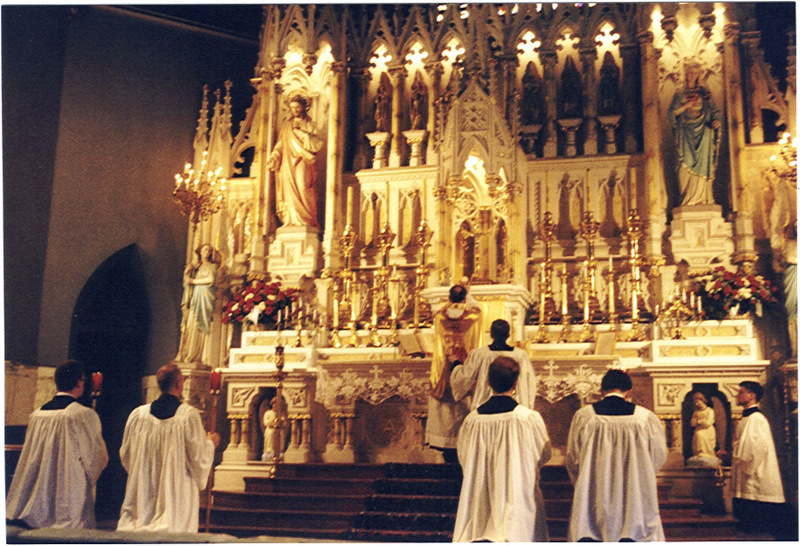 As the Latin Mass grew, people began to find out the truth was far more boring: traditionalists are mediocre Catholics just like everyone else. We have a bunch of boring parishioners, a few dissidents, and a few superheroes that make the experience an incredible one. Since these individuals really are a minority (more often than not relegated to Internet comboxes as their last bastion of influence), we should have no problem pointing that out, to the outsider and to that individual trying to start trouble. In the end, I would say that the last thing I mentioned should ultimately be our goal. Sometimes we have attempted to prove we are better than others, or the best Catholics out there. I think we will have a better chance reminding our brethren in the Ordinary Form that we aren’t that different. We do our best to try and raise our families in a world which secretly (or not so secretly) despises us. The one thing we do have in abundance is a desire to grow in holiness, and to use the charisms present in the traditionalist movement to do so. We may be mediocre, but with our gifts and the sacraments, we look to rise above mediocrity. We only ask a chance to let us do so.